There are a lot of things about Seattle that make us a tattoo town. Tattoos are statements on your body, whether they are for personal meaning or more artistic self-expression, they come with stories that people want to hear. And you’ll get a lot of different stories these days because tattoos can be found on people from all walks of life. There’s no longer the “tattoo” type, at least not in this town. Here are some things about our community that bring out the passion for tattoos. Diversity Seattleites come from all walks of life. Folks from every ethnic and cultural background live here and much of that is reflected in the tattoos people wear. During my visit to the Seattle Tattoo Expo this year, I noticed a lot of heritage tattoos incorporating religious and other cultural symbolism. 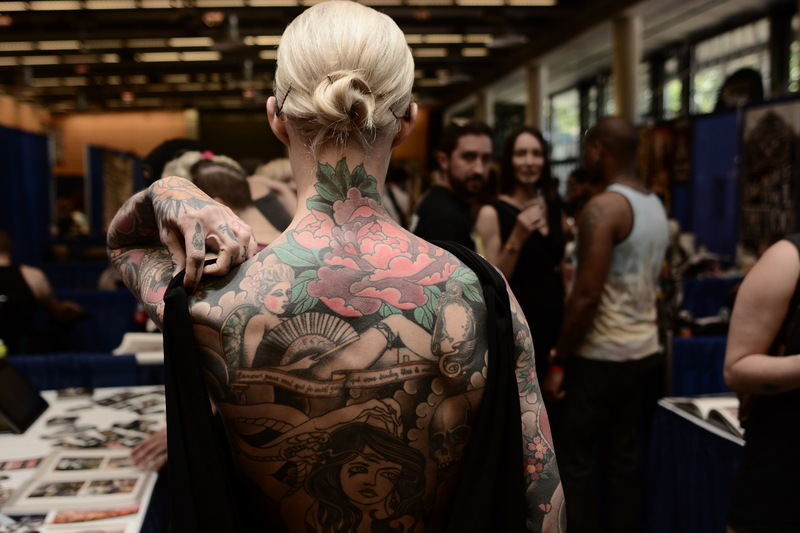 Liberal, tattoo-friendly environment There is a growing acceptance for tattoos in the workplace. 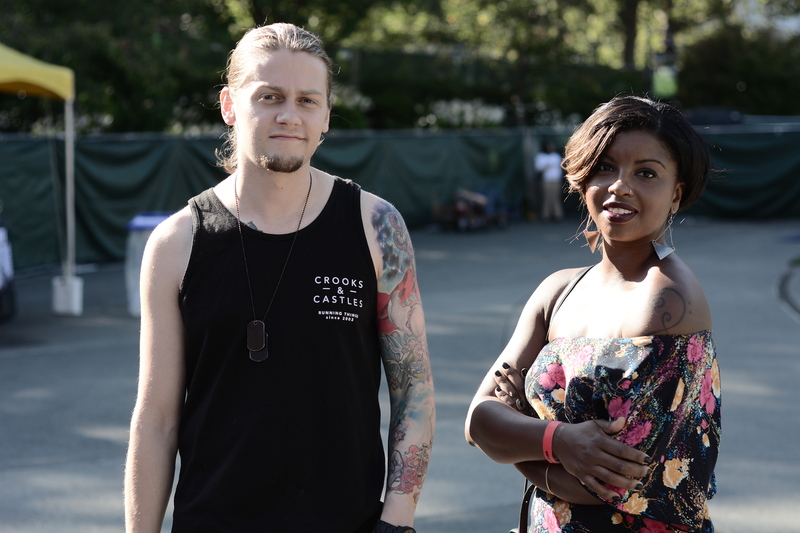 People’s attitudes about tattoos are changing, especially among the younger generation. Today, you’ll find managers and corporate bosses with tattoos because our city if filled with young creative entrepreneurs who can be themselves and run a company. This liberal approach is shaping company culture in many ways. You used to have to cover them up when at work, but now it’s not uncommon to see someone in office clothes with their shirt-sleeve rolled up, sporting their ink. That’s because tattoo lovers come in all shapes, sizes, and attitudes. People don’t have to worry so much about whether or not having tattoos will lessen their chances of landing a job in Seattle. Thriving music scene and youth subcultures Seattle is known for its thriving music scene, from grunge rock and indie to hip hop. In addition, you’ll find plenty of skaters, punk rockers, metal heads, hippies, stoners, and other assorted counterculture types. All these subcultures have a common appreciation for art in general. An appreciation for tattoos comes natural. Music and the people who make it have influence on their followers who like to talk about the local artists as a reflection of their city. Non-conformist attitude Seattleites love to be different. Noncomformism is the new conformism, and everyone wants to demonstrate how extreme and “edgy” they are. Tattoos and body piercings are the most outwardly visible way of doing so, and we all do it uniquely in our own way. Community support for local art (and artists) In a city that values individuality and nonconformism, artists are held in especially high esteem. 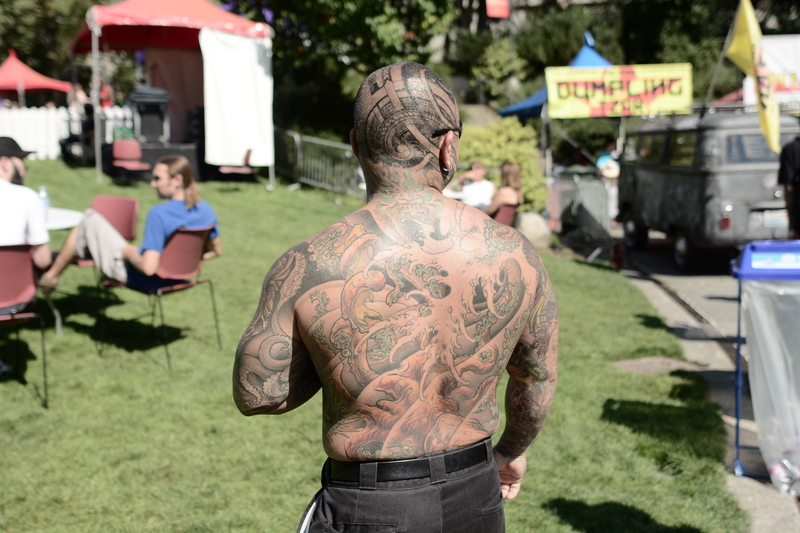 Tattooing is a lucrative business in Seattle due to its never ending supply of people who want to express themselves through body art. By contributing writer and photographer, Ivan Mrsic. 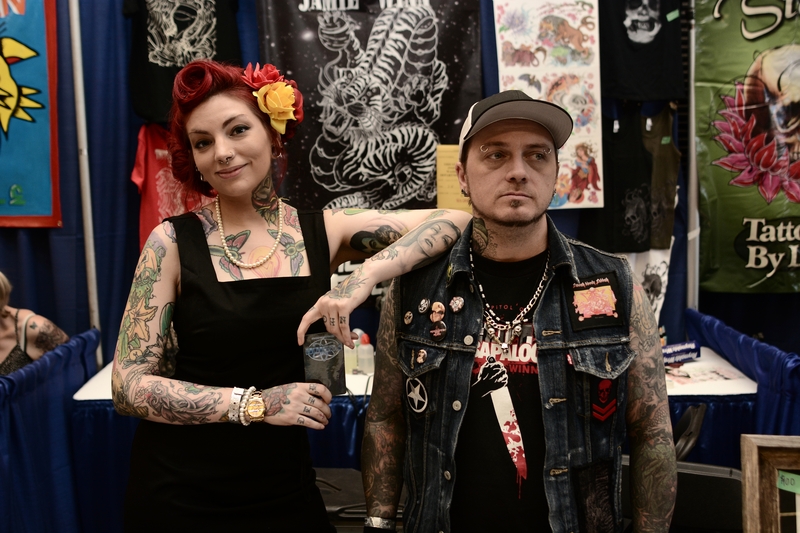 Photos taken at 2014 Seattle Tattoo Expo. Posted in Fashion, Featured and tagged Seattle Tattoo Expo, tattoos. Bookmark the permalink.